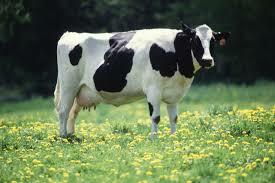 So the town folk found they could buy a cow in Sicily quite cheaply. No matter what approach the bull tried, the cow would move away from the bull, and he was never able to do the deed. The people were very upset and decided to go to the local veterinarian, Dr. Santucchi, who was very wise, to tell him what was happening and to ask his advice. "Did you by chance, buy this cow in Sicily?" The people were dumbfounded, since no one had ever mentioned that they had brought the cow over from Sicily. "You are truly a wise veterinarian," they said. "How did you know that we got the cow from Sicily?" "My wife is from Sicily."